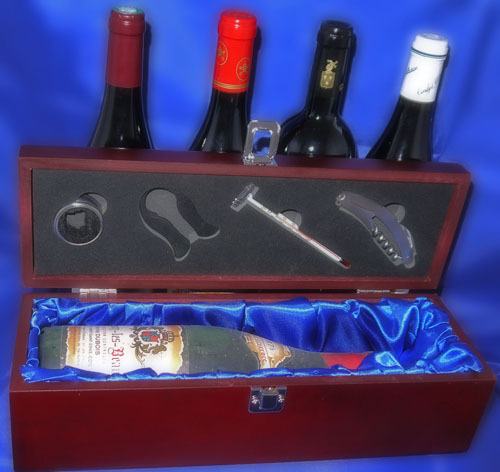 When you order this Quarterly Vintage Red Wine Gift, we will ship every quarter a quality bottle of vintage white wine shipped in our silk lined wooden presentation box with four wine accessories (corkscrew, wine pourer, drip stopper & wine thermometer) and our limited edition 'Great First Growths of Bordeaux' Print (worth £49.97) along with a leaflet explaining that they will receive a different bottle of vintage white wine specially selected by our Wine Buyer every quarter for a whole year. As a special bonus this gift contains a voucher with a discount code so they can get £5 off any further purchases of products brought from vintagewinegifts.co.uk. PLEASE NOTE THAT THERE IS A DELIVERY SURCHARGE PAYABLE FOR ALL ORDERS SHIPPED OUTSIDE THE UK MAINLAND.